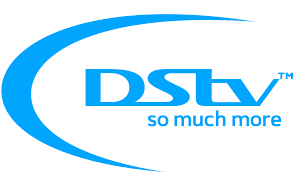 DStv and GOtv subscribers will, over the long weekend of the Easter holidays, enjoy emore entertainment at no extra cost. DStv and GOtv subscribers will be treated to footballing action from the Premier League, including the match between Manchester United and Swansea City, the Spanish La Liga and more. Drama and comedy lovers are not left out as omnibus episodes of Battleground, Hustle, The Johnsons and more will be shown on Africa Magic. Viewers can also stay tuned to the everyday drama and intrigue in the Big Brother Naija house, and the excitement and suspense of the Sunday live eviction show after Ebuka’s promise of a surprise for the housemates at the upcoming Saturday night party. DStv subscribers can also take advantage of the Easter Explora Slash which ends on the 31st of March, 2018, and get the DStv Explora with a month’s compact subscription at N29, 000. Movie lovers can also rent exciting movies like the Emoji Movie, Dark Tower, Murder on the Orient Express and many others from BoxOffice.